Business Wire reports that six independent pharmacies in Texas have filed suit against CVS Caremark for Racketeer Influenced and Corrupt Organizations Act (RICO) violations and trade secret misappropriation. The complaint alleges that CVS Caremark violates the firewall between the retail pharmacy and the pharmacy benefit manager (PBM) entities, as required when the Federal Trade Commission approved the CVS and Caremark 2007 merger. The combined company allegedly built an information technology platform that straddles all of CVS Caremark’s business segments, capturing in-depth patient data for marketing and other purposes in violation of HIPAA patient privacy laws. “CVS Caremark traps patients and non-CVS retail pharmacies in a scheme to deny patient choice of pharmacy and to smother business competition,” said Amanda Gohlke Fields, American Pharmacies general counsel. 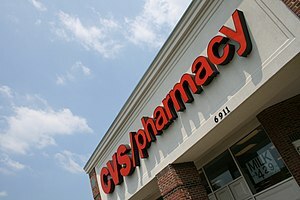 Plaintiffs allege that patient information gathered from non-CVS pharmacies includes names, addresses, birth dates, medical diagnoses, prescription histories, and prescribing physicians, which CVS Caremark allegedly mines to identify individual patient buying practices, their physicians’ prescribing practices, and individual pharmacy business volume. Sarah Rose recently published a well-received book on one of the Western world’s greatest trade secret thefts called For All the Tea in China: How England Stole the World’s Favorite Drink and Changed History. Ms. Rose discusses how the British government plotted to and then did steal tea plants from China, successfully transplanting them in India, making the British Empire less reliant on trade with China. You can read an interview here. And you can purchase the book on Amazon.